World renowned Skidmore Owings & Merrill Architect: Adrian Smith, the designer of Chicago's Trump Tower. Amazing property featuring 12'feet ceilings, rarely used in-town. The building integrates three setback features designed to present an impressive visual continuity reflecting the neighboring skyline and water views. 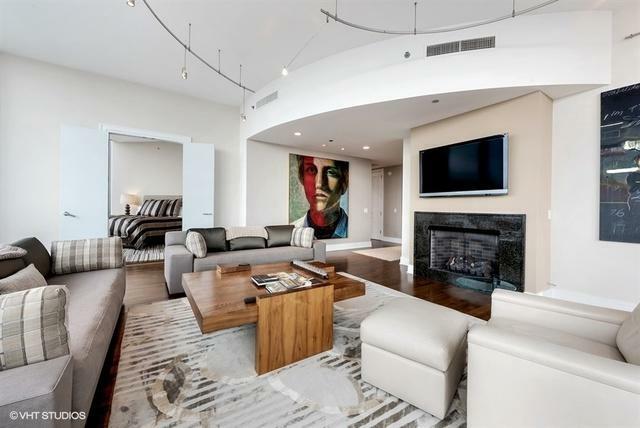 Spectacular high floor, super luxury condo with amazing views overlooking Millennium Park, and River view. This 2,754 sqft luxuriously upgraded and improved unit offers the most upscale ambiance and living experience. 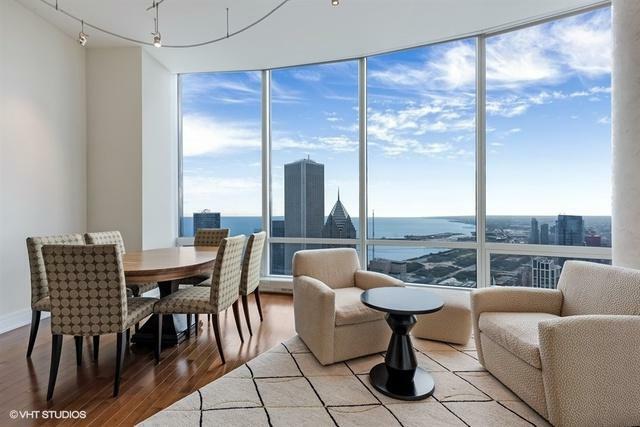 Panoramic curved floor to ceiling windows, overlooking South and East: Grant Park, Lake & City. 2 bedroom + den/family room, 3 full bathrooms. Open chef's kitchen with a 12 foot island and Snaidero cabinets, and wonderful spa like bathrooms. 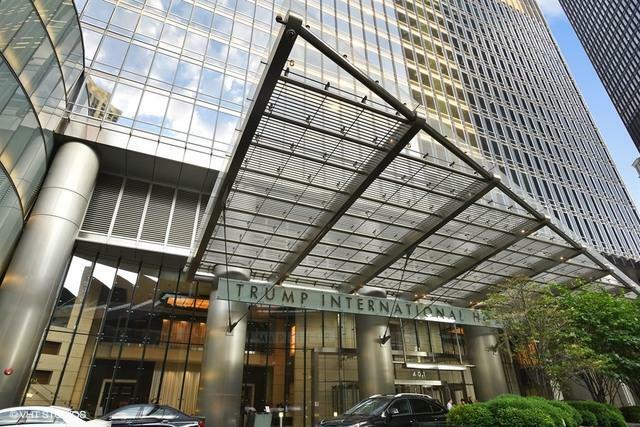 Access Trump Hotel's unparalleled 5 star amenities including 14,000 sqft health club and pool, spa and room service.